An overly intense, multilayered tale about three characters facing a life-and-death situation, a state of affairs brought into being by religion, class, social consciousness, and political activism. Once again, Gordon, astute observer of Catholicism and the inner lives of women in both fiction and nonfiction (Spending, 1998; Joan of Arc, 2000, etc. ), continues her quest for meaning. Here, on Christmas night 1998, Maria Meyers receives a call that her 20-year old daughter, Pearl, who is studying Irish at Trinity College, has chained herself to the flagpole outside the American embassy and is near death from self-starvation. As a distraught, uncomprehending Maria flies to Ireland and her beloved only child, an omniscient narrator begins the chronicle, framed by 20th-century history, of Maria, Joseph, and Pearl, a trio strongly evoking the Holy Family. Maria is a child of the ’60s. She rebelled against the privileged, repressive Catholic childhood provided for her by her wealthy, conservative father, and had an affair with a refugee from Pol Pot’s Cambodia, a doctor who returned to his homeland and certain death, never knowing he had fathered a child. We’re then made privy to Pearl’s story, the most interesting and freshest of the three, her Dublin experiences with the “new IRA” and, before that, her growing up as the shy daughter of the strong-willed Maria and a surrogate father, Joseph Kasperman. Joseph was Maria’s childhood friend, the housekeeper’s son whom Maria’s father educated and to whom he willed his successful business in religious kitsch. Through the narrator, we learn about Joseph’s sacrifice of an academic career to satisfy his obligation to Maria’s father, and his obsession with doing the right thing. The three converge in Dublin. 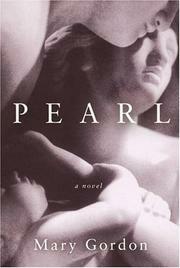 As Pearl, hospitalized, clings to life, they’re forced to face the present and the past, and the question of what’s worth the price of staying alive. Elegant prose, thought-provoking plot, mammoth themes—and sometimes slow-going.